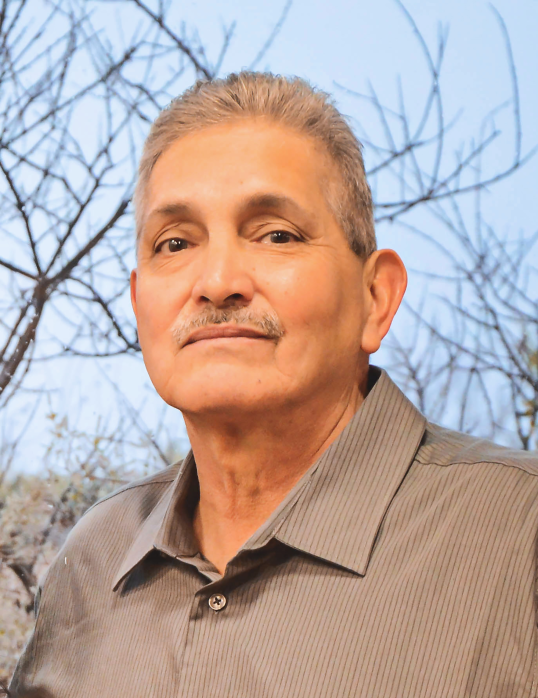 Larry G. Yturralde, Sr., 62, of Ortega Street, Carlsbad, New Mexico, passed away Monday, February 11, 2019 at Carlsbad Medical Center. Visitation will be 4:00 PM – 7:00 PM, Friday, February 15, 2019 at San Jose Catholic Church. A vigil is scheduled for 7:00 PM, Friday, February 15, 2019 at San Jose Catholic Church. Liturgy of the Word will be held at 2:00 PM, Saturday, February 16, 2019 at San Jose Catholic Church with Deacon Tony Dominguez officiating. Interment will follow in Carlsbad Cemetery, Carlsbad, New Mexico. Denton-Wood Funeral Home is in charge of the arrangements. Larry was born September 10, 1956 in Carlsbad, New Mexico to Jose G. and Sulema (Gonzalez) Yturralde. He graduated from Carlsbad High School and attended Ranger Junior College. Larry married Anna Gonzales June 5, 1976. He retired from Living Desert State Park in 2004 after 28 years of service. Larry went to work for Eddy County Sherriff’s Department where he has worked as animal control officer. He was a die-hard Dallas Cowboys fan. Larry had a tremendous passion for coaching. In fact, there has never been a season that Coach Y has not coached baseball and softball. He took his son’s Junior League Allstar team all the way to one game shy of the Junior League World Series in 2001 in Vancouver, WA. Coach Y was an assistant coach, helping coach Carlsbad and Loving softball teams to state championship titles. He was known for his big heart. Larry will be missed by his family and friends, especially his grandchildren. He was preceded in death by his father, Jose G. Yturralde and brother, Jose Yturralde, Jr. Survivors are his wife, Anna Yturralde of Carlsbad, NM; son, Larry G. Yturralde, Jr. and wife, Rikka of Carlsbad, NM; daughter, Kimberly Martinez and husband, Abraham of Albuquerque, NM; son, Sonny Yturralde and wife, Shea of Carlsbad, NM; mother, Sulema Yturralde of Carlsbad, NM; grandchildren: Devin Garcia, Zoe Yturralde, Wynn Yturralde, Avery Martinez, Haiden Martinez, Brexlynn Yturralde, Lynox Yturralde, Maxxon Yturralde and one grandson on the way; sisters: Brenda Yturralde, Celina Yturralde and Denise Sanchez and husband, Joe; father and mother-in-law, Ruben and Manuela Gonzales and numerous nieces and nephews. Pallbearers will be Sonny Yturralde, Larry Yturralde, Jr., Abraham Martinez, Eloy Navarrette, Terry Smith, Jerry Fernandez, Ruben Gonzales, Ysidro Molinar and Larry Lopez.